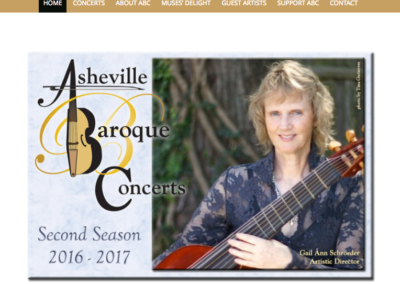 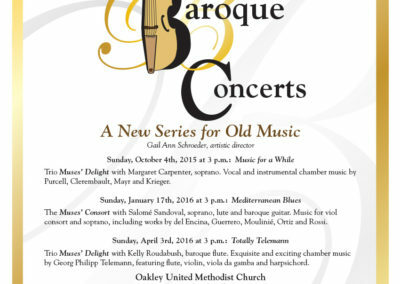 Gail Ann Schroeder was starting up her idea for a new concert series in early music in Asheville, and she wanted an ornate logo (as Baroque style is all about embellishment!) which showed a Viola da Gamba, as well as her bow somehow worked into the initials of Asheville Baroque Concerts. 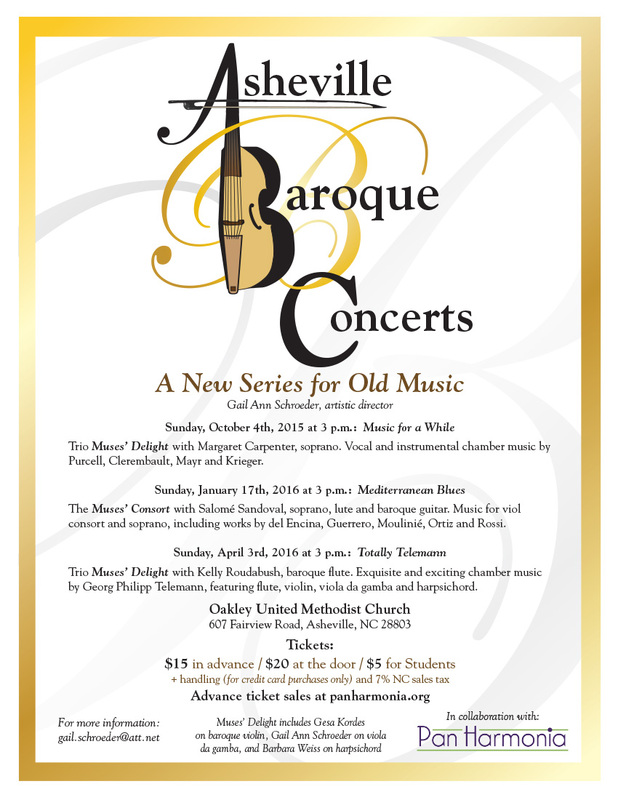 With the logo, she needed a flyer, both black & white and in color, to announce the details of her first concert series (now in its second season). 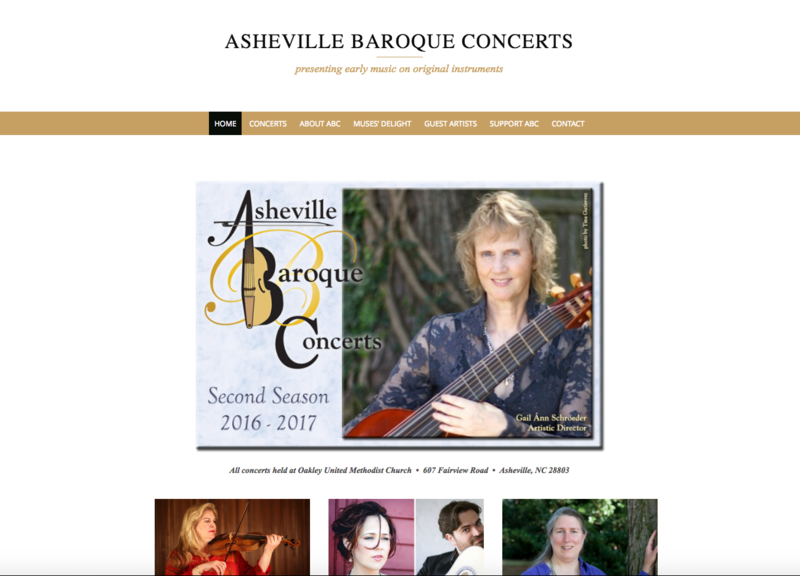 After the logo and flyer, she wanted a quick, simple, and very inexpensive website to showcase upcoming concerts as well as provide ticket information, bios on musicians, guest artists, etc. 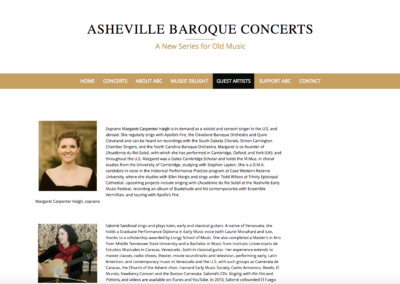 She wanted an elegant, clean site to complement her logo just prior to the website launch. The website was first built in 2015, but just recently we’ve changed the home page with new information on the upcoming concert series for 2016 – 2017. 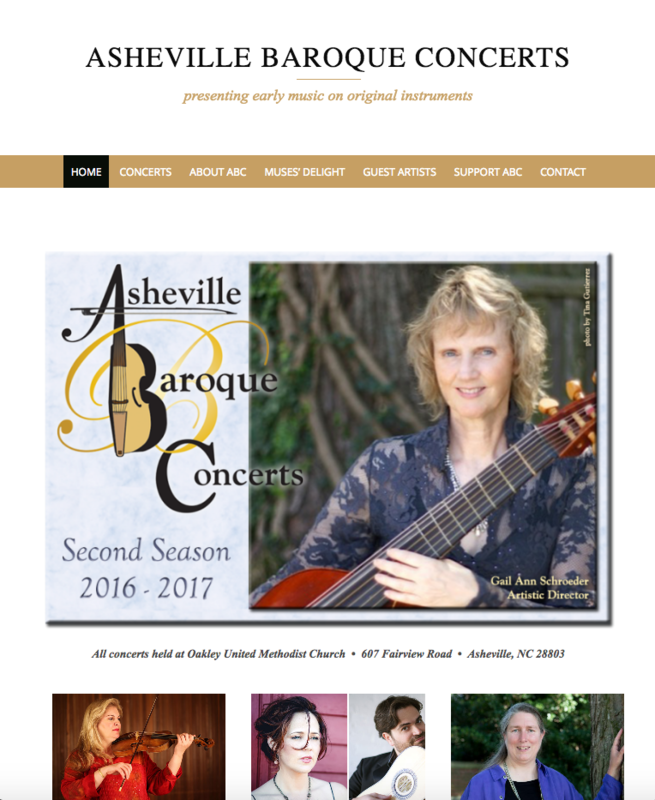 I met with her and a friend to teach them how to maintain the site, but assisted with adding the new material to the home page. 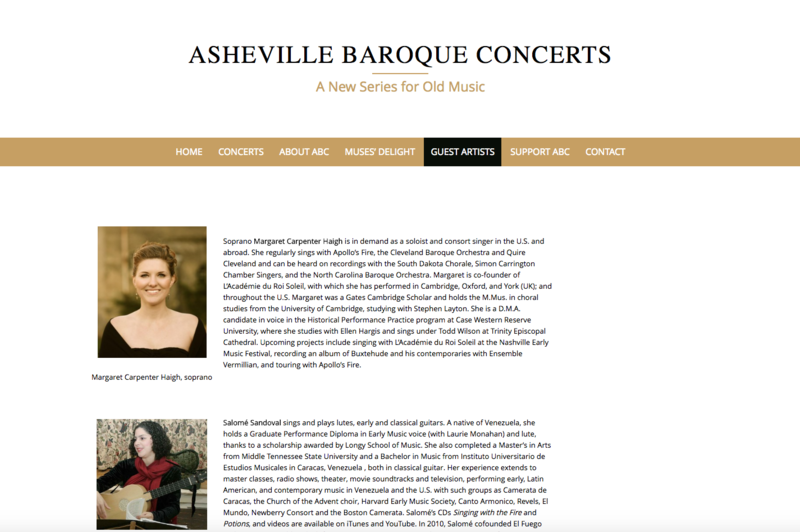 They decided at that point to change the tagline, for it was no longer a new series as of this year, but one of the gallery examples below (Guest Artists page) is with the original tagline.